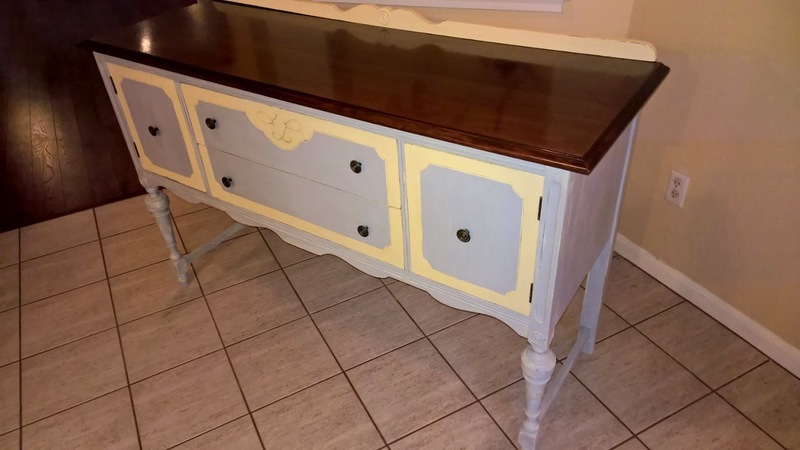 I have been craving a buffet refinish for what seems like forever!! And now that I've finally gotten my paws on one, I know why :) This gorgeous antique buffet is likely from the 1920's - 1930's and, well, they just don't make them quite like this any more. I was inspired by another refinish I'd seen in the same colors, and once again it turned out pretty much 0% how I thought it would, but as lovely as I'd imagined at the same time! This one is in Annie Sloan Chalk Paint Paris Grey and Cream. I also restained the top for a gorgeous, more modern twist to this classic piece. And here's one more, this time with the top trim on. I personally love it without, though! I actually have another buffet in the wings, so to speak.. Can't wait! 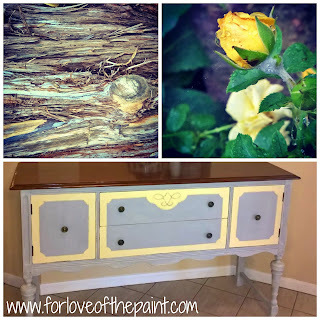 And if you're curious about the Color Story : Inspiration behind this piece, I'd love to share! 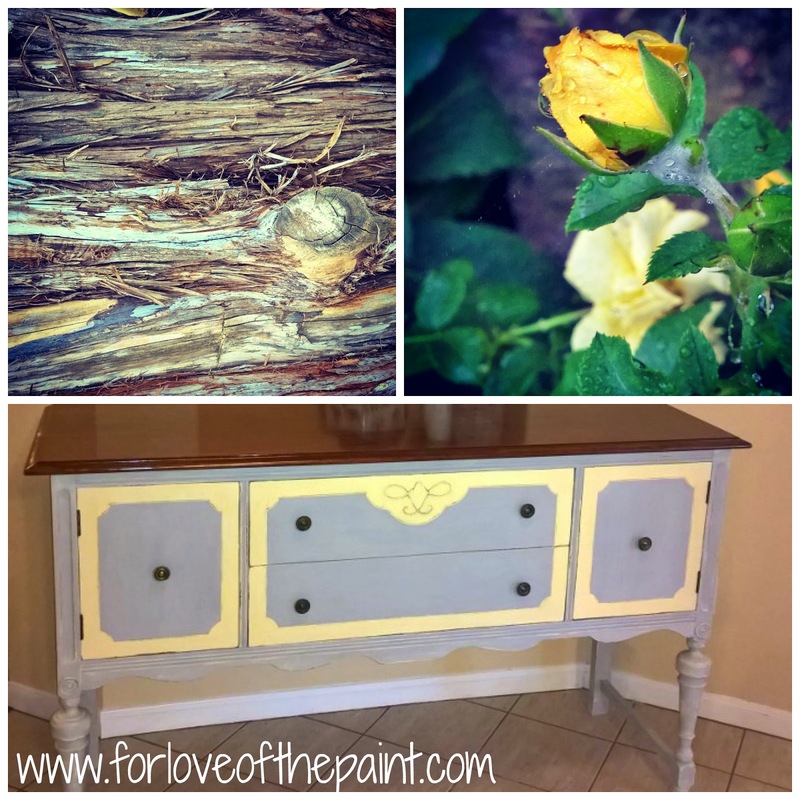 I just adore the soft, bluish hues in this Paris Grey paint juxtaposed with a buttery Cream. 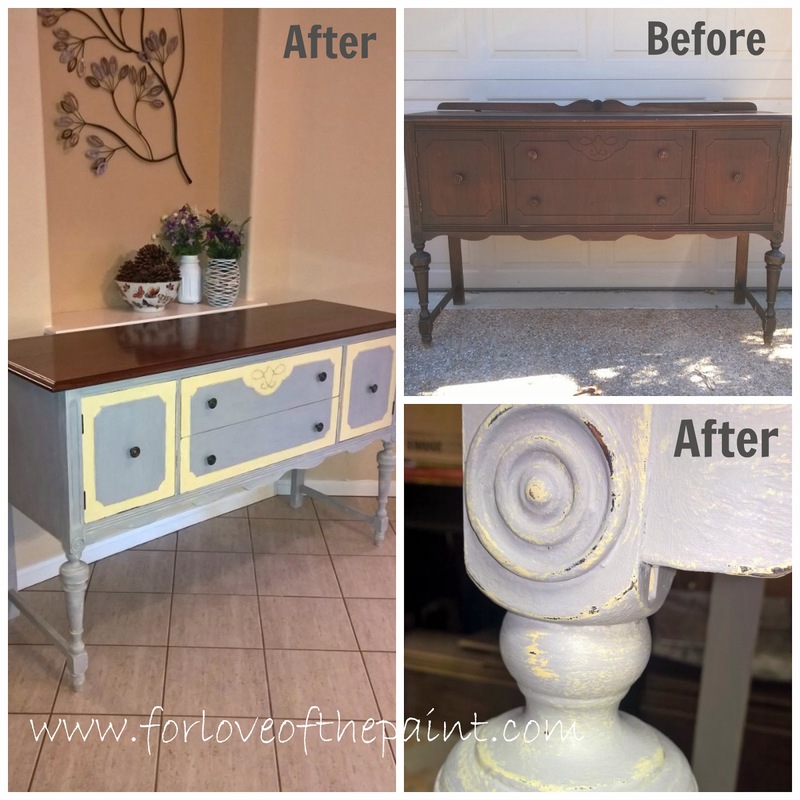 I weathered to a light shabby chic to reveal some of the gorgeous natural wood, and added a smooth, rich, nutty brown color in the stain. You can see these warm and cool colors paired together in the Texas Cedar and also this amazing Julia Child rose from my garden. Hope you love it! Leave me a comment or email me at forloveofthepaint@gmail.com to let me know your inspiration, and I'll work to incorporate the colors into an upcoming piece from my Color Story collection!